It can be immensely frustrating when your guitar won’t stay in tune and you’re not quite sure why. Here are 12 common causes of tuning problems as well as detailed guidance on how to fix each one. 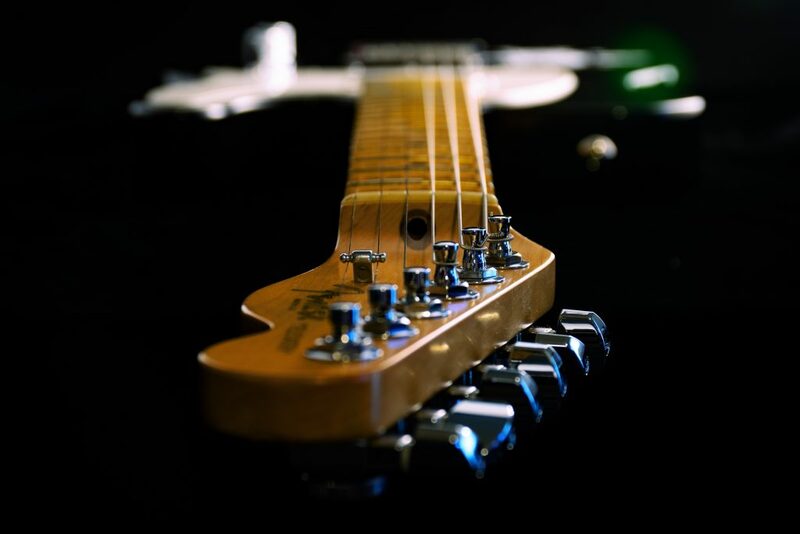 Both temperature and humidity will affect the tuning of a guitar. High temperature and humidity levels will cause both the strings and the wooden components of your guitar to expand, meaning the tuning will go flat. Conversely, low temperature and humidity levels will cause the same components to contract, meaning the tuning will go sharp. If you’re playing in less-than-ideal climate conditions, you might find yourself having to tune your guitar more frequently. However, it’s important to avoid extended exposure to extreme levels of temperature and humidity as they can severely damage your instrument. As a general rule, if the climate is less-than-ideal for you, it’s less-than-ideal for your guitar. Whilst a guitar will generally sound better with age, guitar strings will undoubtedly sound worse. When your strings begin to reach the end of their life, they become brittle and subsequently more difficult to fret. As a result, fretted notes will often sound sharp (particularly in the upper registers). The longest-lasting brand of strings I’ve used is Elixir. Their .010-.046 set (link to Amazon) is my favourite for general electric guitar use, whilst their .012-.053 set (link to Amazon) is my favourite for acoustic. If your guitar is on the lower end of the price spectrum, there’s a good chance the machine heads will be poor-quality. Poor-quality machine heads fail to lock in place, meaning the tuning will slip easily. This can easily be solved by simply installing a higher-quality set of machine heads. If you’re playing a Fender-style guitar, Fender’s Locking Tuners (link to Amazon) are excellent. If you’re playing a Gibson-style guitar, the Grover Accordion Accessory Series (link to Amazon) are my favourite and a standard feature on many Gibson guitars. Nut problems will make it immensely difficult to get your strings exactly in tune. 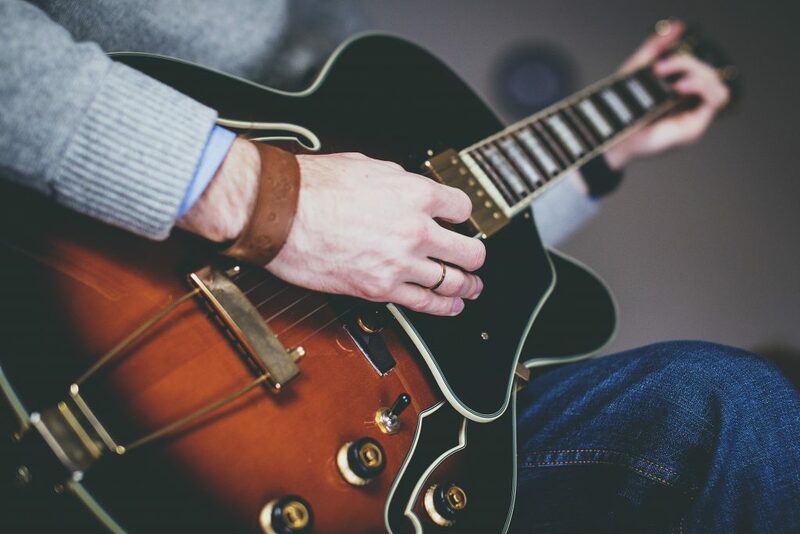 Whilst tuning the guitar, it’ll often seem like nothing is happening until you hear a ‘ping’ sound combined with the string jumping out of tune. Additionally, nut problems will often cause your guitar to go out of tune when you bend a note. The nut is cut too narrow: This pinches the string, which prevents it from moving freely. The nut is not well-lubricated: This also prevents the string from moving freely. If you suspect that there’s a problem with the nut, use a pencil to lubricate the slots with graphite. If you’ve done this and the nut is still causing problems, it’s worth taking it to a luthier to get it filed down. All-too-many guitarists try to get by with the cheapest headstock tuner they can possibly find. Cheap tuners are often wildly inaccurate and generally struggle to perform in noisy environments. It’s well-worth investing in a good quality chromatic tuning pedal to maximize tuning accuracy. My favourite is the Korg PB01MINI (link to Amazon), which takes up minimal room and has a clearly-visible display. Capos can often cause your guitar to sound out of tune, which is most-often due to poor capo placement. When placing a capo, you should aim to keep it completely vertical and ensure the strings aren’t being pulled out of tune. Additionally, some capos enforce so much tension on the strings that they cause the tuning to go sharp. If this is the case, I’d highly recommend looking into a capo with tension adjustment, such as the Planet Waves NS Tri-Action Capo (link to Amazon). The bridge saddles of a guitar can occasionally come loose, which will inevitably cause tuning problems. Luckily, this can easily be fixed with a hex key. When adjusting the tightness of a saddle, you’ll want it to be ‘snug’ without being too tight. When the strings become slack during tremolo arm use, they can often change position in the nut, causing tuning issues. Luckily, this is often easily fixed by lubricating the nut with graphite as explained in the ‘Issues With The Nut’ section of this article.